Scooper - Technology News: Does being bilingual really improve your brain? A debate has erupted over the reported cognitive benefits of speaking multiple languages. The benefits of bilingualism have long been disputed: claims that speaking two languages is confusing and hinders childhood development are countered by reported social and cognitive advantages . The new debate centres on executive control – a broad term used for advanced mental functions and capabilities, such as attention switching and future planning – and research suggesting that it is improved by bilingualism. However, it has also spawned a further argument over the nature of scientific research. Is being bilingual good for the brain? 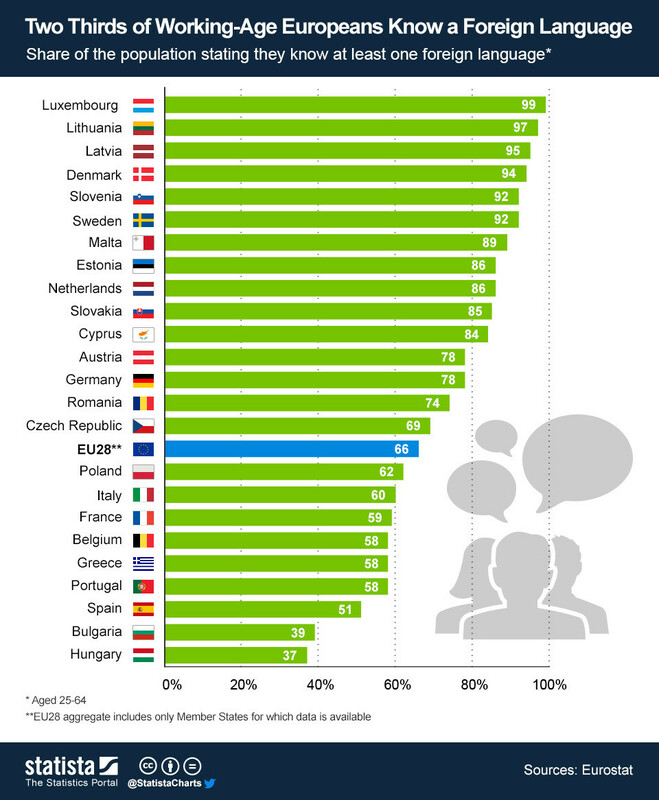 Across Europe, and most of the world, bilingualism is the norm – but does speaking multiple languages actually improve your cognitive ability? A body of bilingualism research exists which suggests that speaking multiple languages is good for our brains. Not only for executive function, but also for reducing the effects of ageing . The studies offer evidence that bilingualism confers benefits far beyond language skills, and can have a much broader positive impact on the brain. Ellen Bialystok, one of the world’s leading bilingualism researchers, explained to The Atlantic that the constant choices faced by speakers of multiple languages strengthen the regions of the brain that are key to executive function. Her research showed that 20 Tamil-English bilinguals from India had superior executive function than monolingual English speakers from Canada – and this was particularly evident among the older speakers . New research, released this year , has also suggested that speaking two languages can alter the brain’s structure. Although not true for all bilinguals, the effort of switching between multiple languages can change the “brain networks that enable skilled cognition, support fluent language performance and facilitate new learning”. The Atlantic reports on a growing collection of voices arguing that these claimed advantages don’t exist, or are limited to a small set of circumstances. Studies have been unable to replicate previous results or find evidence of the reported links between bilingualism and improved cognitive control. This has ignited further debate about the type of research accepted for publication in articles, the measures used to assess executive control and the scale of studies. He doesn’t dispute the social or personal benefits, but his work (and the work of others) challenges widely held beliefs in the cognitive advantages of bilingualism. Leading bilingualism researchers, including Bialystok and the University of Edinburgh's Thomas Bak, have dismissed the research, and the wider debate about how scientific research is conducted and disseminated rages on. Ultimately, however, while the cognitive benefits of bi- or multilingualism may be moot points, the social and cultural benefits aren’t.